Usage/Application: coal mill and abrasive applications. Material: SS304 / SS316 / SS310 / Inconel600 / Hasteloy / Monel etc. 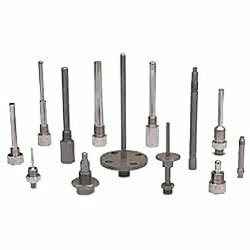 Aimed at prosperous growth in this domain, we are instrumental in offering an excellent quality range of Flanged Thermowell. 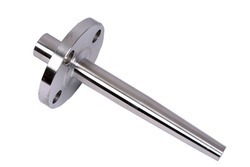 We bring forth thermowell type instrument that comes in two forms like bar stock drilled. These are in great demand and can be availed at cost-effective prices. Our auditors ensure that these remain in strict adherence to international standards of quality across varied markets. Installed directly into the piping systems, thermowells facilitate sensor replacement in high pressure pipelines and eliminate the need to interrupt the process flow or drain the process system for sensor maintenance function. Kains Instruments India Pvt. Ltd.